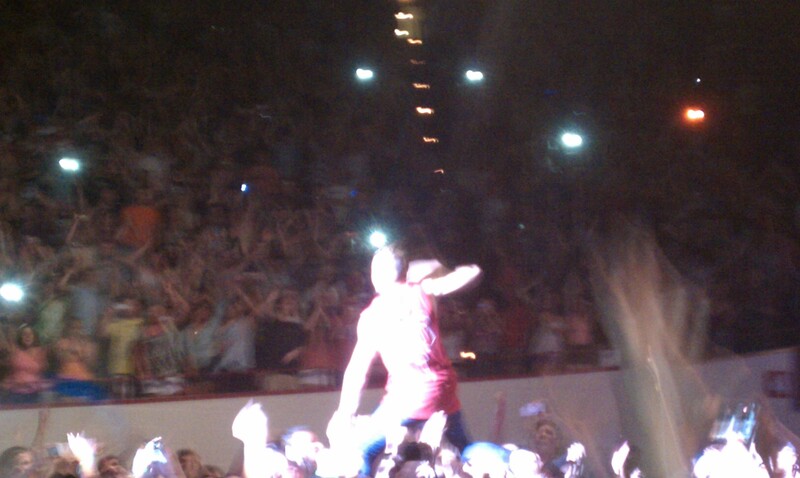 Last night I saw Macklemore and Ryan Lewis perform at IU’s own Assembly Hall as the official Little 500 concert. 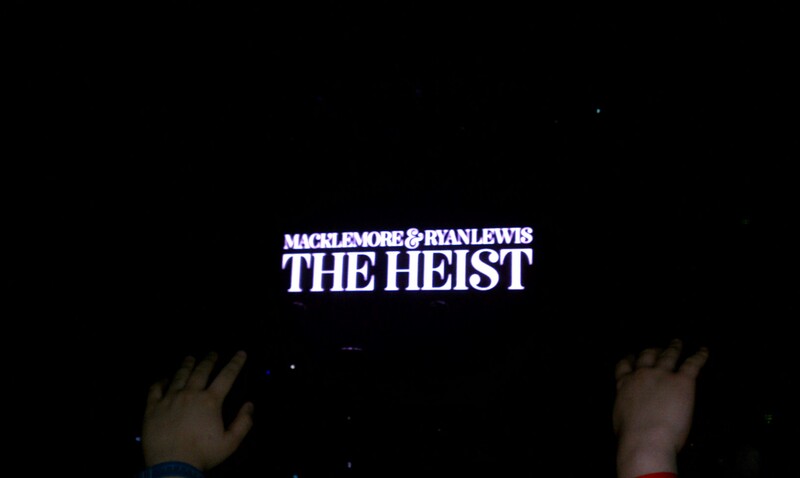 The duo sounded great and Macklemore is one of the stronger entertainers I’ve seen live. 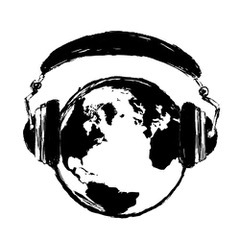 Talib Kweli and Wale opened up for the indie hip hop duo. 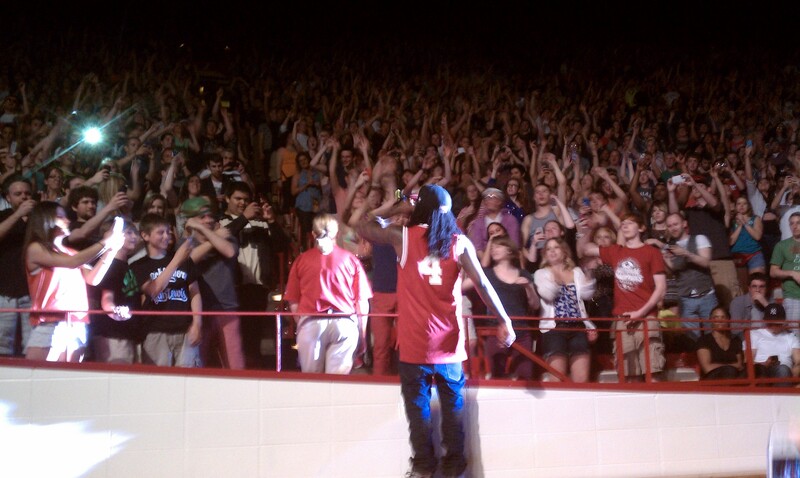 Wale pumping up the crowd (with the crowd). 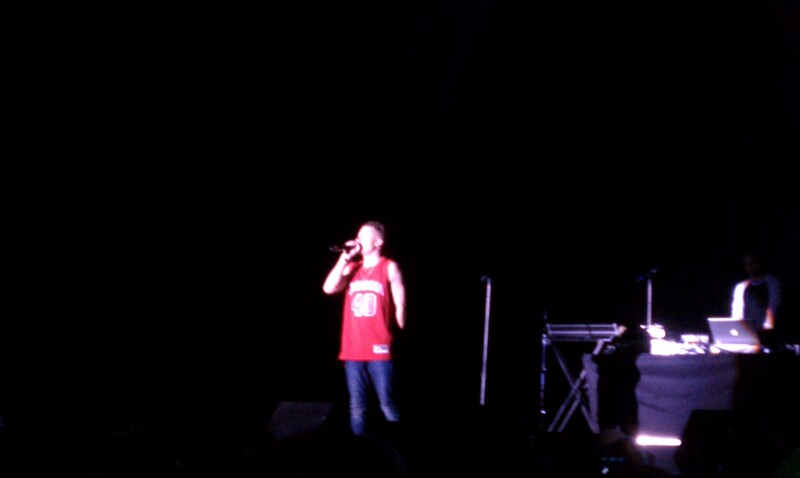 Wale again (he’s rocking the #4!). 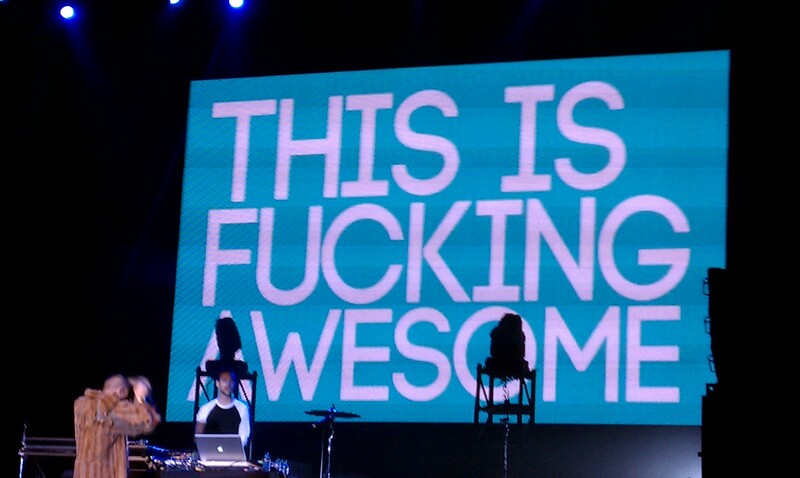 During “Thrift Shop” (and a good summary of their surprisingly strong set). 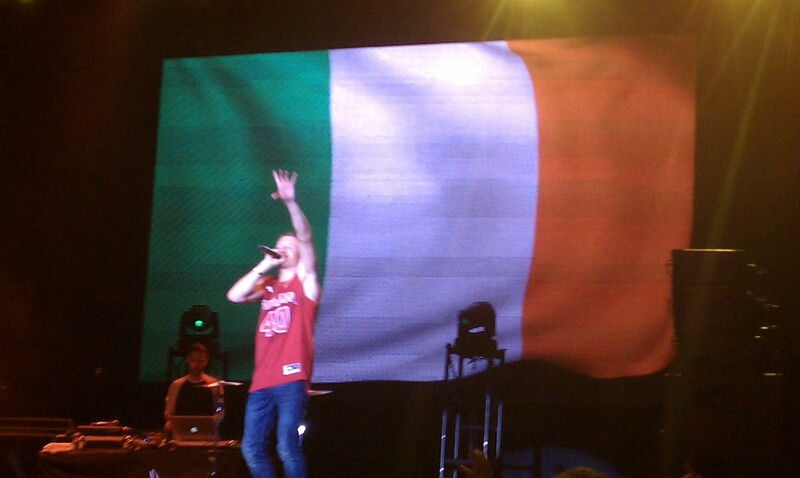 The Irish flag during the final song “Irish Celebration”. For all you Talib Kweli, I’m sorry I have no pictures of him.